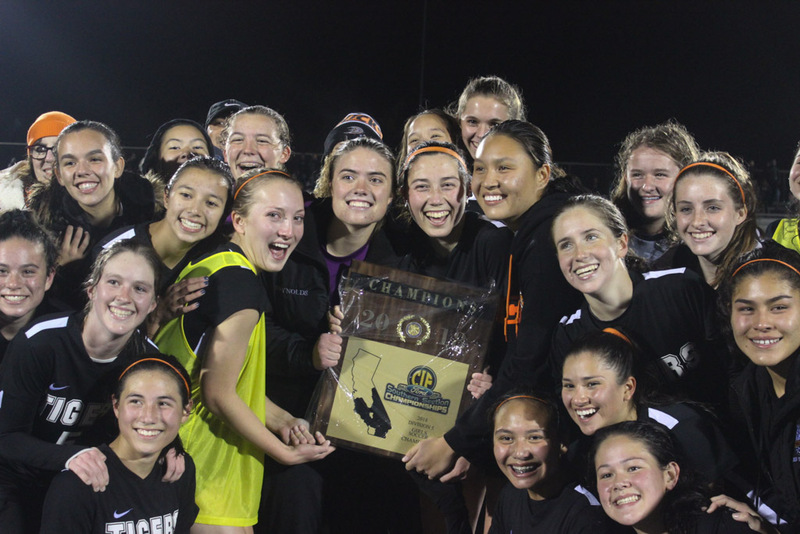 The South Pasadena High School Girls' Soccer team poses with the CIF trophy, an accolade the team has not achieved since 2003. The game was clinched 1-0 against Westminster, played in heavy rain. 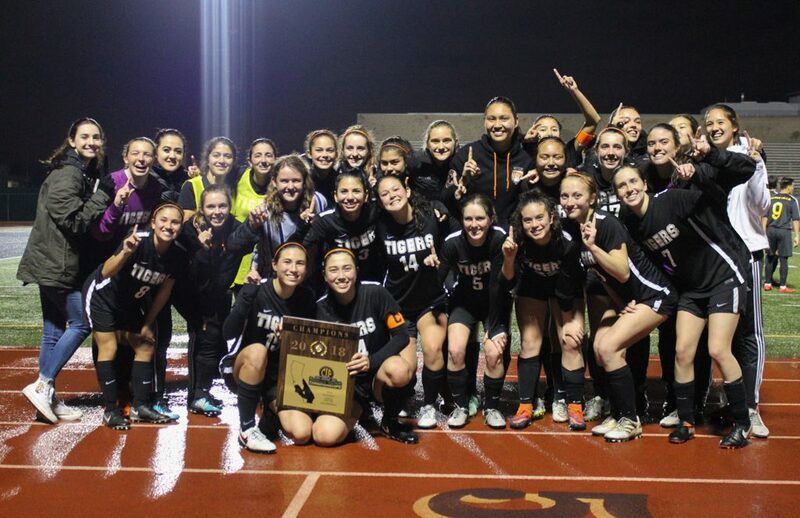 Establishing its first CIF title since 2003, the girls’ varsity soccer team has changed history for SPHS. 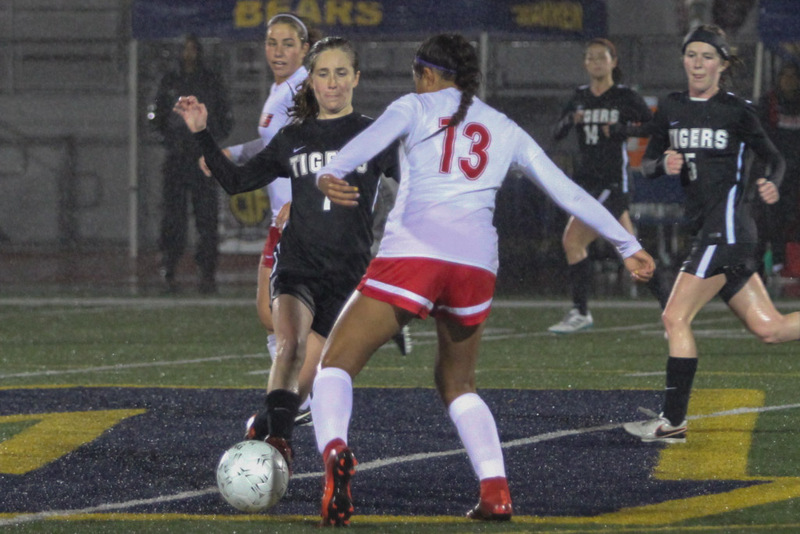 The Tigers tipped the scales against the fearsome Westminster Lions, 1-0, at the brutally rainy CIF Southern Section Division 5 finals at Warren High School on Friday, March 2. After a brilliant offensive move in the first half that left the Lions stunned: down one, it came to a resolute defense and goal keep that held out the Tigers’ precarious lead to secure the victory. 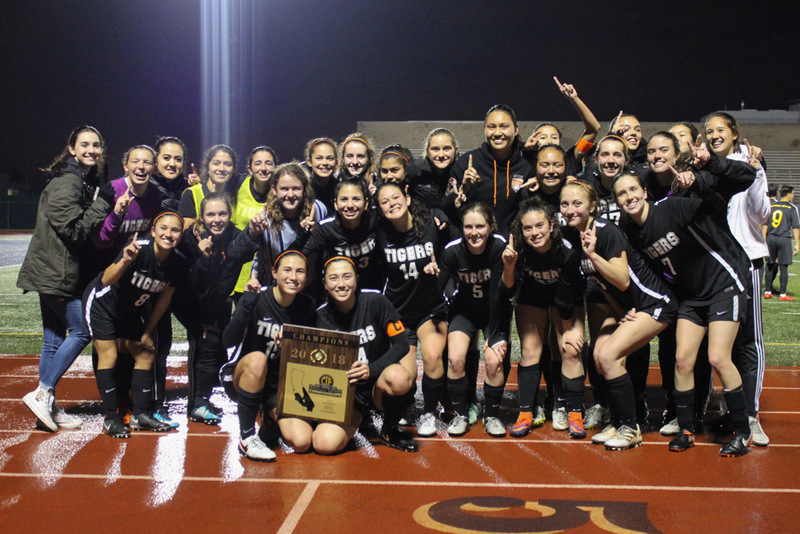 Though a record of 21-3-2 is an unquestionably exceptional way to close CIF play, the Tigers have even more time to further improve this record as they move onward and upward to state playoffs. 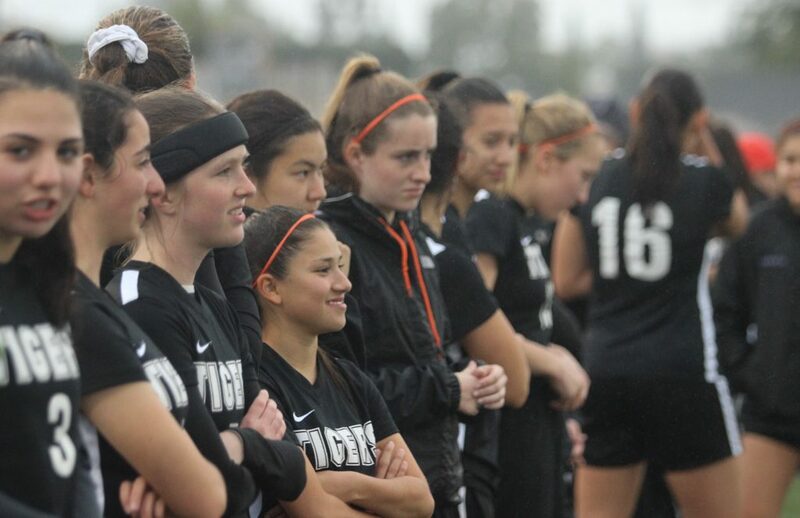 Unlike any of their matches throughout the dry Southern California winter season, the Tigers were forced to compete in their most important game in unrelenting rain. The weather provided a dramatic and epic backdrop for this showdown but also threw in several serious factors into play. Erratic ball skid and stoppages drove players from both teams to act one mental and physical step quicker, faced with having to adapt to unpredictable ball movement. 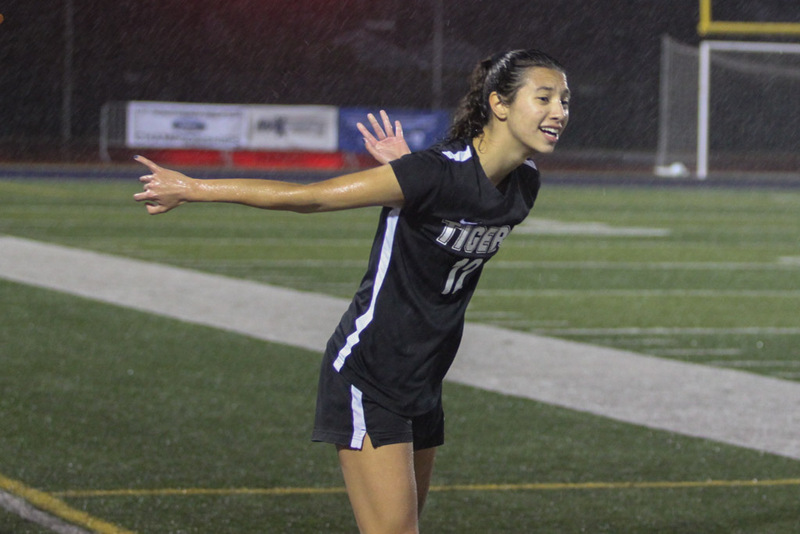 Despite the conditions, the Tigers swiftly adapted and subsequently took control of the field for the first half. 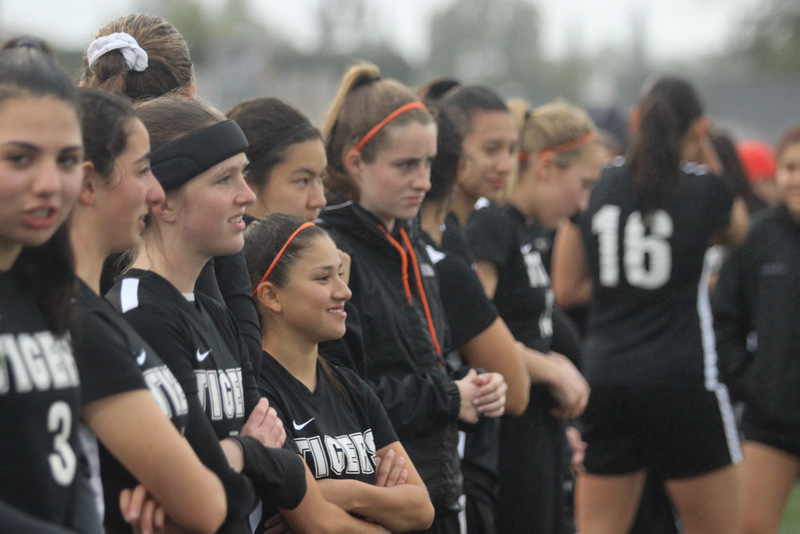 While Westminster brought out their absolute best passing and shooting, it simply paled in comparison to South Pas’ excellence. 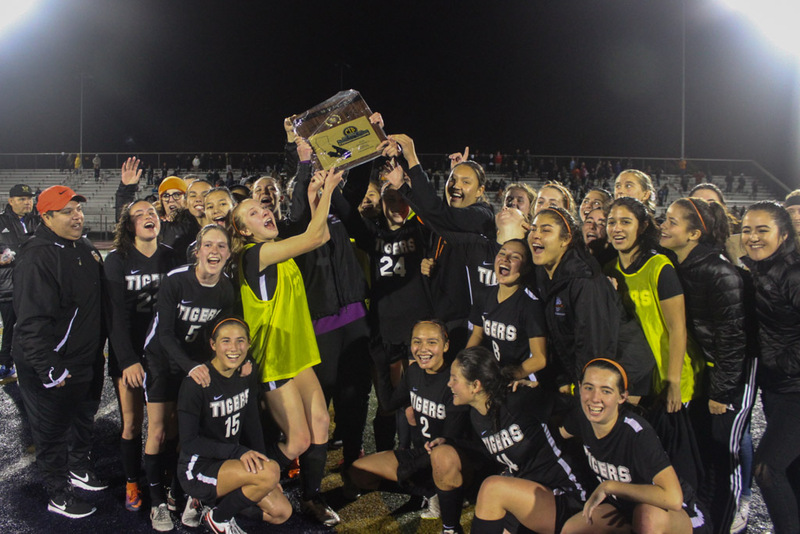 The Tigers were roaring on the field, cohesively communicating and advancing as a united pack of players. The midfield was key in this match; senior, junior, and sophomore Emily Dunn, Rainey Tilley, and Jessica Lat took away the majority of angles for the Lions, sprinting to stop Westminster balls in their track. Meanwhile, junior and sophomore forwards Uma Hornish and Corey Segal naturally played vital roles in setting up striking opportunities. 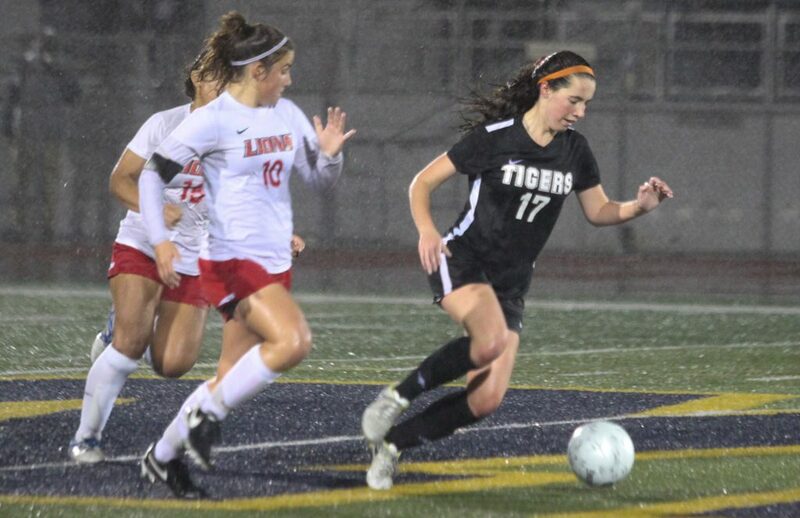 Hornish collected and settled long balls with her typical panache, while C. Segal herself laid out a performance of a lifetime, expertly blocking the Lion forwards while sidestepping any defense the Lions could muster. 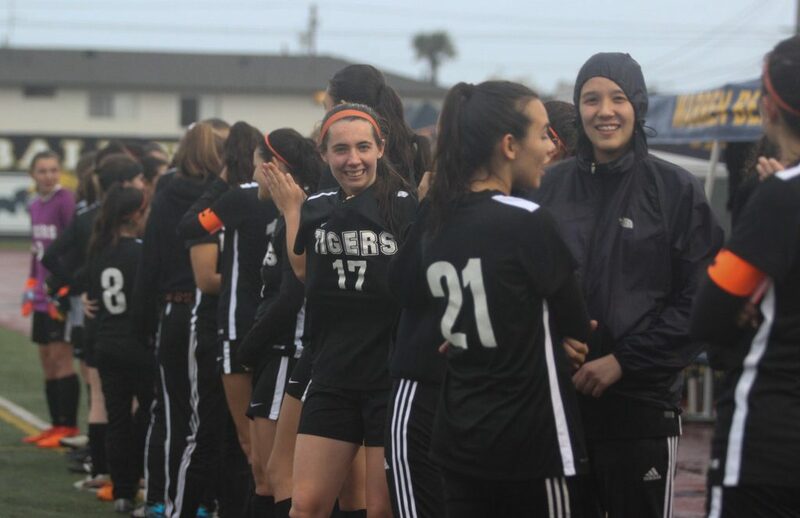 With these girls barraging the Lion backline, it would be inevitable for South Pas to find its ball in the Westminster net. After several unfortunate wide and high shots on goal, Hornish supplied C. Segal with an impeccable assist at the 22-minute mark. 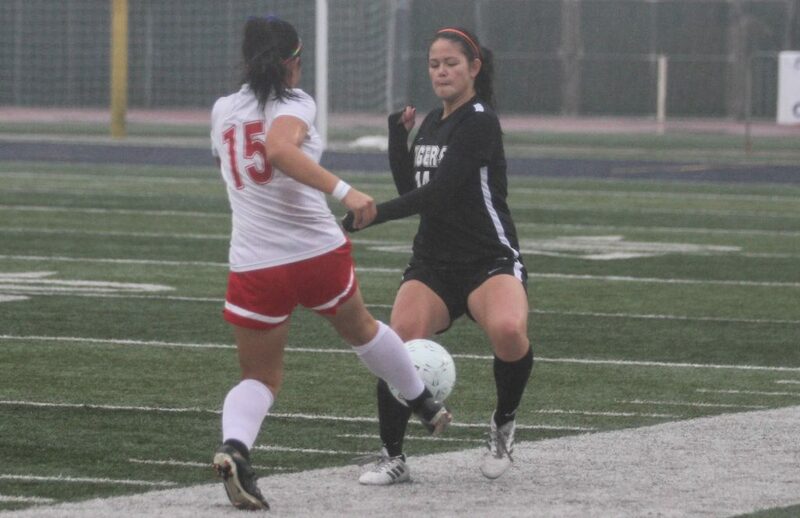 Flicked gracefully within 15 yards of the box, C. Segal found herself up only against the Westminster goalkeeper. Finding a profound presence of mind deep within her, C. Segal seized her (and the team’s) destiny and shot forth a gorgeous goal into the far right corner of the net. Gameplay thereafter became a showcase for the Tiger defense. With still another 18 minutes to go, the Lions were ravenous for the equalizer. 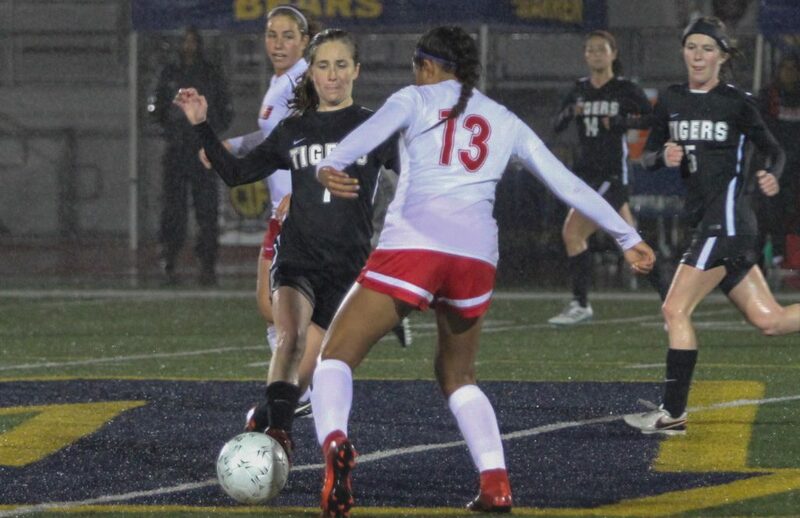 After the South Pas frontline lost its firm grip on ball possession, its backline was imperative in hindering a Lion onslaught. 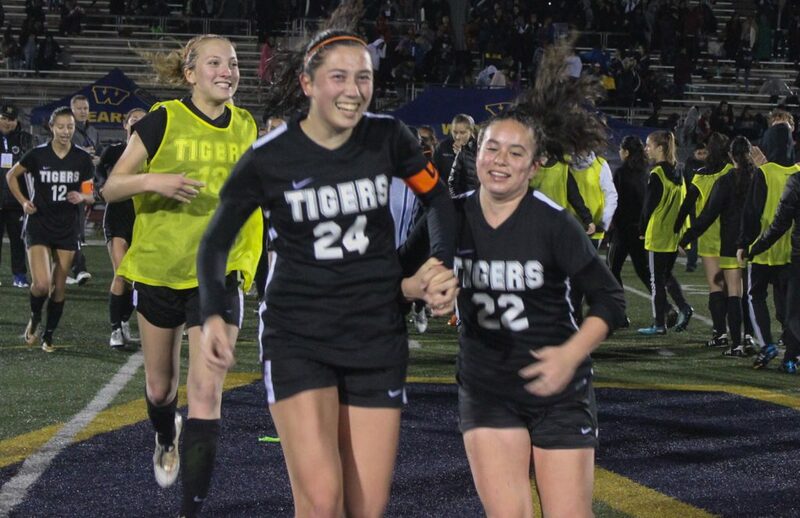 Rounding out the outside shoulders were the two standout defenders of the match, juniors Jade Myer and co-captain Alyssa Bonk. Myer’s protective execution was sensational, completely shutting down a multitude of Westminster charges from the side with a step. Senior and junior co-captain Riley Segal and Booch Barrera shielded the center backline, reliably sending long balls to clear the box. 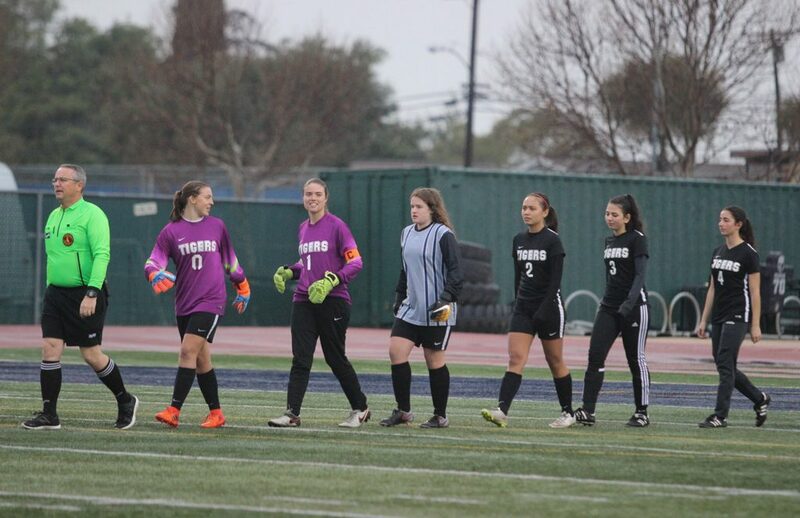 Senior goalkeeper and co-captain Sophie Reynolds completed the defensive quinfecta, denying the five close shots on goals the Lions sent her way. 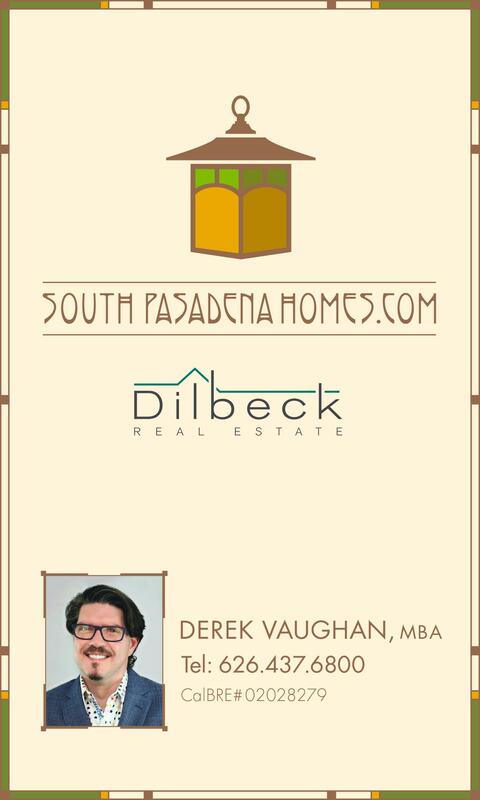 The half closed with South Pas narrowly ahead. Though the Tigers clearly desired to widen their dangerous lead over the Lions, the Lions came into the second-half with a touch more urgency, obviously wanting to balance the score. Even with daring efforts from both Hornish and senior forward Harper Fox, an accurate shot on goal could not be made. To worsen the situation, large puddles had pooled along the sidelines of the fields, making a crossing bid to the box near unfeasible. Ultimately, the Tiger defense had to hold their ground for the remainder of the match. Myer and Bonk, again, were workhorses in thwarting Lion endeavors– Myer prevented many Westminster air-balls from realization with header upon header. But, the extremely capable Lions flew past the South Pas defense many times, requiring junior goalkeeper Noemi Howland to fulfill game-changing saves. 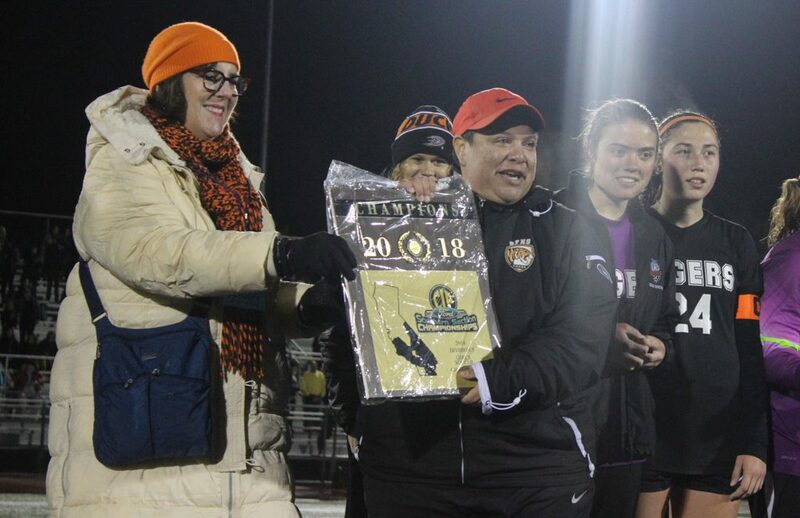 There is a reason only six goals have been conceded all season-long—during this second-half, Howland became the manifestation of that achievement. Seven saves total were made, each snatched right out of the air or staunchly on the floor, no slip in grip whatsoever. One particular spectacular save came from a direct free kick granted to the Lions from the 25-yard line. The Lion kicker sent a threatening shot that undoubtedly would’ve hit the net if not for Howland’s great ability to track and cease fly shots on goal. As the last ten minutes rolled around, unmistakable desperation creeped up on players from both teams. The Lions made audacious bids for overtime play, but the Tigers came out as the better team. It boiled down to their defense delivering massive punts to the far corners of the opposing side, keeping Westminster away from South Pas’ magnificent CIF title. 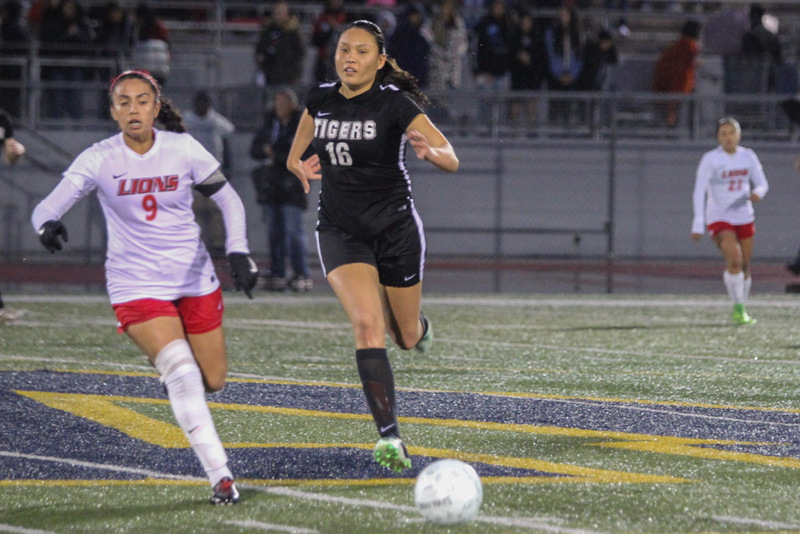 After missing a CIF berth by one game last year, the girls’ varsity soccer program have certainly exceeded above and beyond any of their expectations. Yet, with this title, they still have lofty goals ahead. 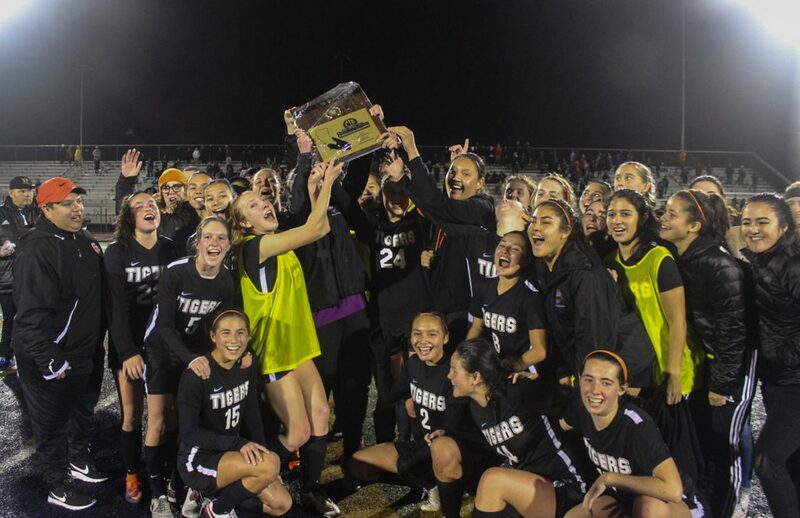 A state Division 5 title could be in the Tigers’ horizon—brackets will be announced Sunday, March 4, and its playoffs will most likely begin straight after on Tuesday, March 6. It is difficult to avoid becoming disillusioned with the news cycle while chaos ensues in the heart of and across our country. 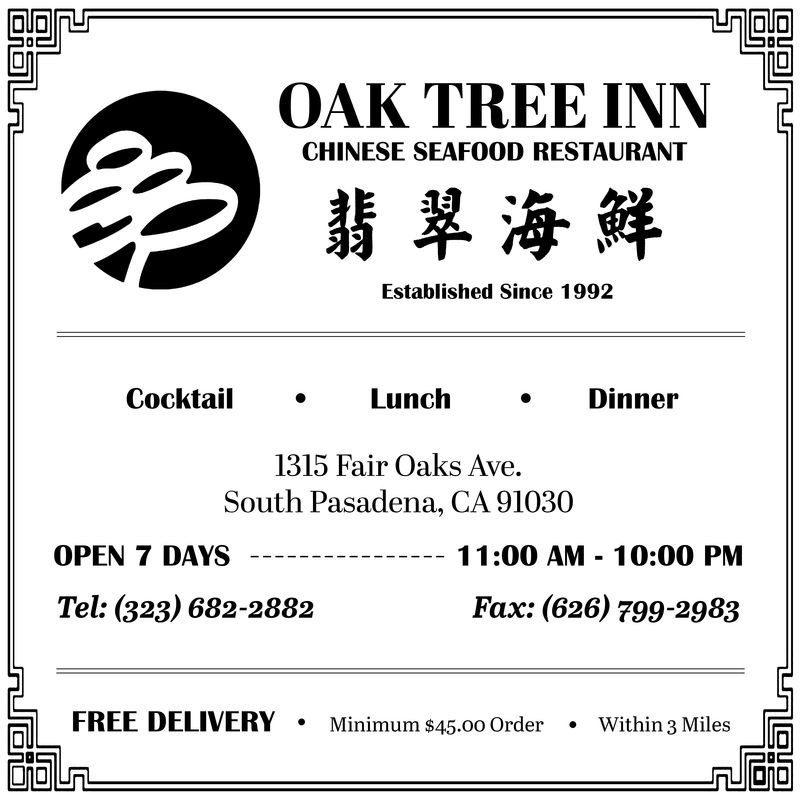 But it is of utmost importance to second year staff writer David Seo to remain level headed and conscious of the impact student journalism can have on a community. 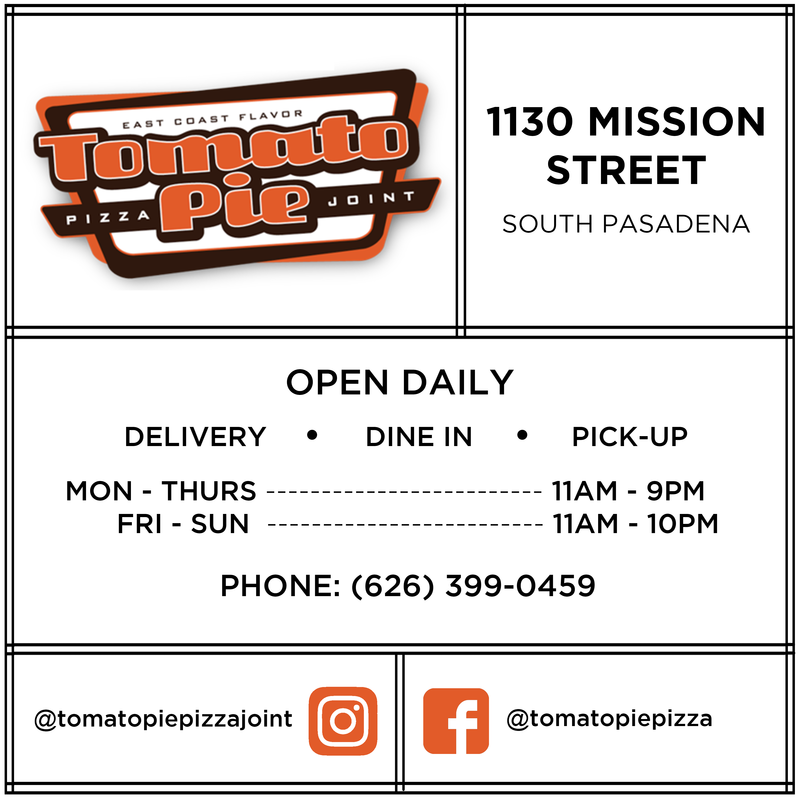 Altogether world-weary and wholly naive, he is eager to discover and share stories that, despite mayhem, continue to be important to South Pasadena.